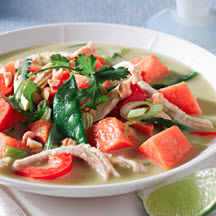 CooksRecipes has quality, kitchen-tested recipes for Indian chicken dishes that you can count on for successful deliciousness. 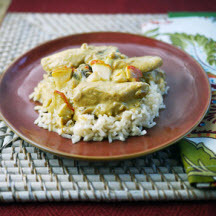 Tender chunks of chicken in a deliciously easy curried fruit sauce made with apricots and apples. Liven up this traditional standby with sweet potatoes, green onions and fresh thyme. Easy to prepare, elegant to serve. 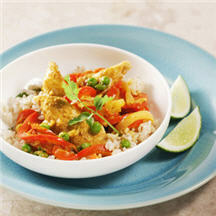 This is a simple chicken curry dish that's full of flavor and easy to prepare. Chopped fresh cilantro adds an extra flair as a garnish.